Let me make something clear - I love Star Trek: The Next Generation. It's my favorite Trek. Now...try not to hate me as I recast the series with new actors. I realize recasting and rebooting beloved properties is usually a big no-no to fans (myself included), but Hollywood being what it is, these kinds of things are bound to happen. You may remember seeing red when we posted our 10 Worst Case Casting Scenarios. In this case, I'd say prepare to see stars. While I made an attempt to cast actors I feel would legitimately do justice to the roles, I understand Trek is sacred. Keep an open mind and boldly go where you totally want to go - through the cast list! I can't take credit for this one but it is what got the idea for this theoretical reboot in my head. Nine months ago, Tumblr user Maddiesaur had a little fun in photoshop. 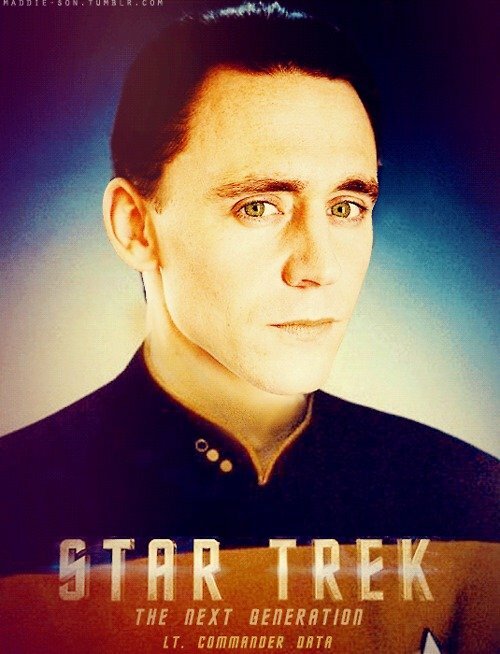 I stumbled upon it just a few days ago and what I found felt like a revelation - Tom Hiddleston as Data. I enjoyed J.J. Abrams' Star Trek reboot but I think it's safe to say it was a success because it drew from the original series. 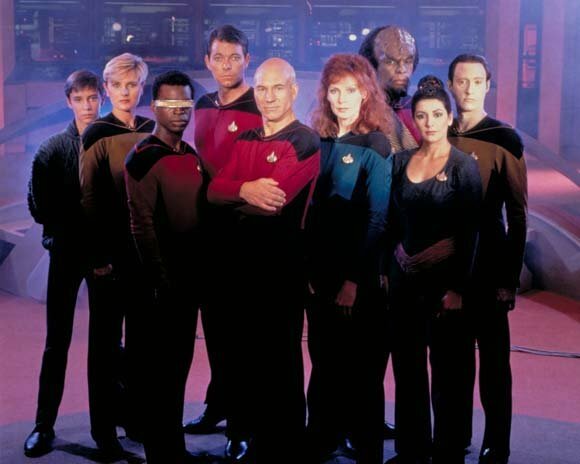 TNG isn't as well known outside of Trekkers but with the right cast, it could be a hit too. Just for the record, I won't be trying any fancy photo work with the remainder of the cast. It's better for everyone that way. 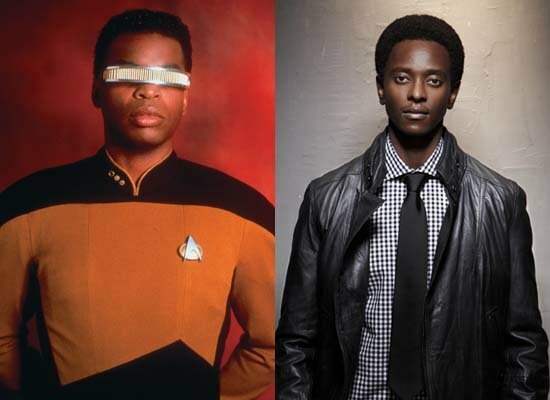 For Geordi I went with X-Men: First Class star, Edi Gathegi. He's a great actor but he's got that understated approach, just like LeVar Burton, that makes him perfect for Geordi in my mind. Maybe they could CGI most of his visor this time around to cut the actor a break. I swear I'm not only casting genre actors in these roles, it just happened! 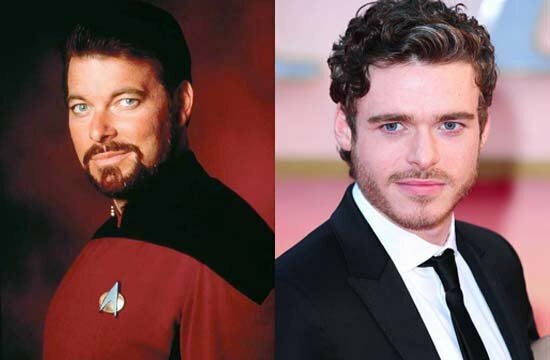 Game of Thrones' Richard Madden has all the qualities of a young Riker. He's assured, a leader, and certainly good looking. I'm sure Jonathan Frakes could still teach him a thing or two though. The Riker, for instance. I'm a recent convert to the wonder that is Downton Abbey. 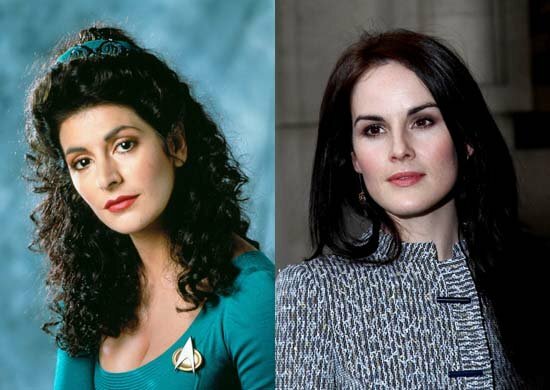 Having watched the first season, I feel confident in my decision to cast Michelle Dockery in the place of Marina Sirtis as Counsellor Troi. She's got that great, almost exotic, look Sirtis has, and I'd love to see her take on Troi's power-set. Plus, she already knows what it's like to have a difficult mother. While choosing the cast, I wasn't sure if I should stick to the main bridge crew or branch out but it was too fun not to. 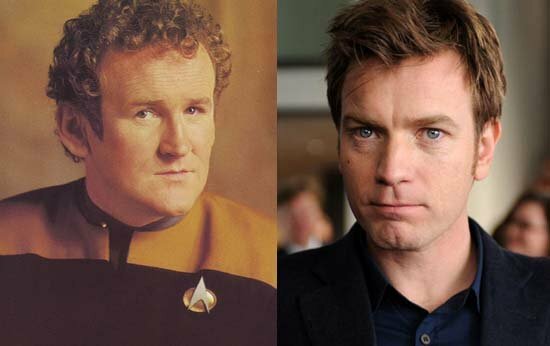 That's how I found myself considering Ewan McGregor for the Chief. I think he's got the right mix of experience and surliness for the job. McGregor is Scottish, not Irish like Miles, but I'm ok with it if you are. Yeah, I know he's the hot ticket right now but there's a good reason for that - Idris Elba is fantastic. I fell for him watching Luther but he has an amazing physical presence in pretty much every role he takes, which is a good thing for a security officer to have. It's a little hard for me to picture him with the Klingon ridges but if he can pull off that insane helmet in Thor, a few prosthetics won't hurt. As a natural redhead myself, I could only give the role of Dr. Crusher to another natural redhead. 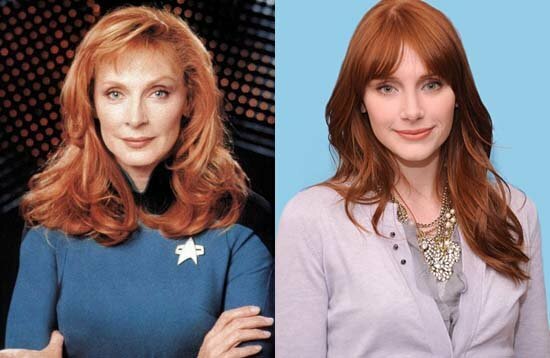 It's just a coincidence Bryce Dallas Howard looks almost identical to Gates McFadden. If you've seen Howard's work you know she can be gentle and caring as well as tough and authoritative, something the doctor on a galaxy class starship needs to be. Especially if she's going to confine the Captain to his quarters because he's infected with something gross. As much as some people would have probably liked for me to keep Wesley off this list, I wouldn't dream of it. An annoyance to some, I always enjoyed Wil Wheaton's character. But who better to cast in his place than the child actor who's been equally annoying on The Walking Dead? None other than Carl himself, Chandler Riggs! If you think he's too young, think again. 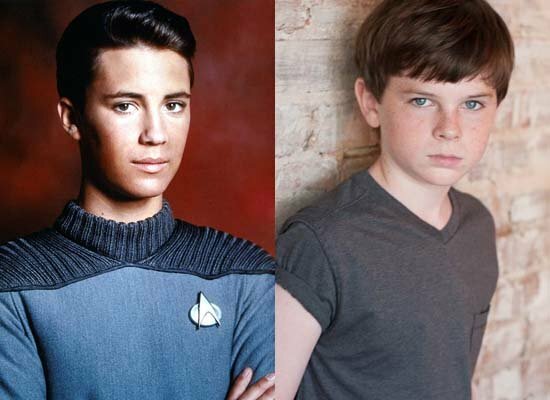 He's already 13, just two years younger than Wheaton was in Season 1. This isn't even the most recent picture of him, he's growing by the day! 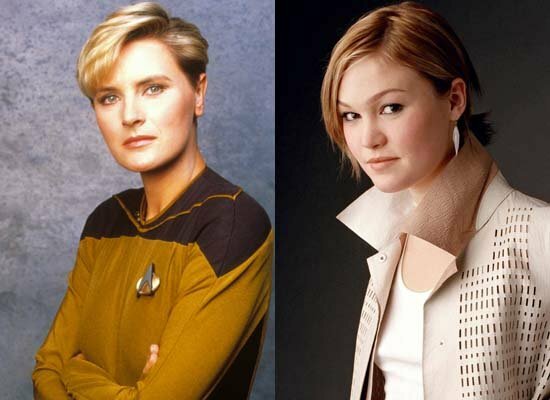 Sure, Denise Crosby only got one season in the role of Tasha on TNG but she's too cool of a character to leave out. Tasha wasn't just on the bridge of the Enterprise, she was its chief of security and chief tactical officer. One of the bravest Starfleet officers who ever lived, in my opinion. Since Crosby didn't get a chance to flesh out the character much, I would love to see Julia Stiles, an actress I've followed for years, develop Tasha. You may not like Wanda Sykes' brand of humor but in this case, that doesn't matter. Guinan may be occasionally funny but she's not doing standup behind the bar at Ten Forward. 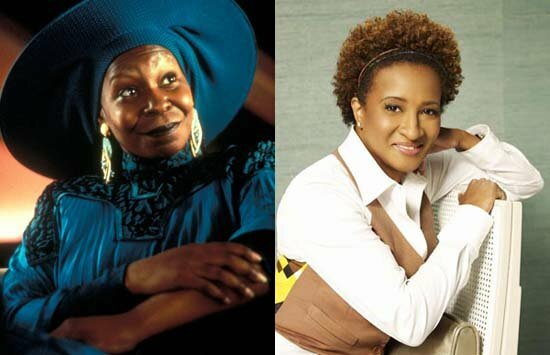 Whoopi Goldberg is a comedian (who not everyone finds funny either) but she played Guinan with class, wisdom, and charm. Sykes could give me sage advice any day of the week. Yeah. That's right. I even recast Barclay. 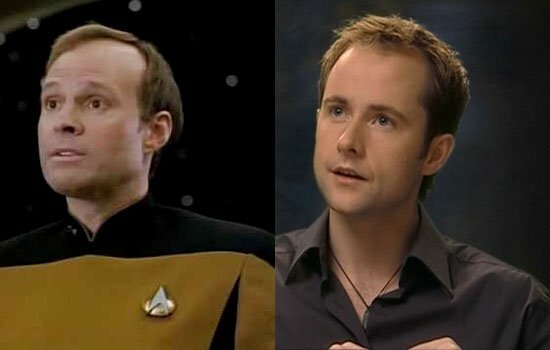 The very first person that came to mind for the unique role was The Lord of the Rings' Billy Boyd. Mostly because I find him extremely fun to watch but also because I know what a quirky guy he is on-screen and off. And I want to see him de-evolve into an arachnid. Pulling out the big guns now, ladies and gentlemen. 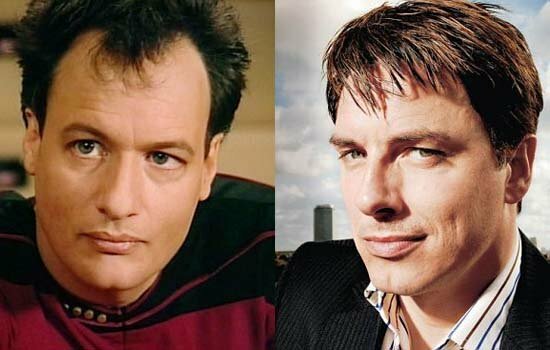 There aren't many like John de Lancie out there but when it comes to troublemaking devils, John Barrowman isn't far off. And considering his role on Doctor Who and Torchwood, an omnipotent alien with hidden agendas isn't much of a stretch either. And now, the pièce de résistance (yes, I'm saying that because Jean-Luc is French)...Christopher Eccleston as Captain Picard! This one really took some thought. 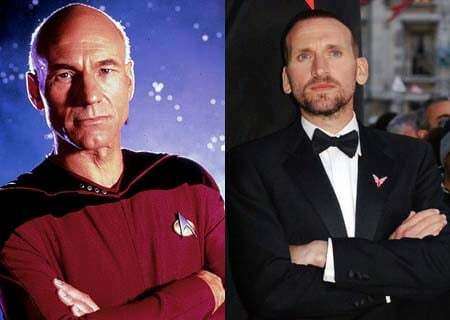 No one, and I mean, no one can ever truly replace Patrick Stewart, but forced to choose, Eccleston is my best choice. He's done Shakespeare, is slightly snooty about his genre work, and at 48, a year older than Stewart was when he first sat in the Captain's chair. And yeah, in my mind, the receding hairline helps to seal the deal. 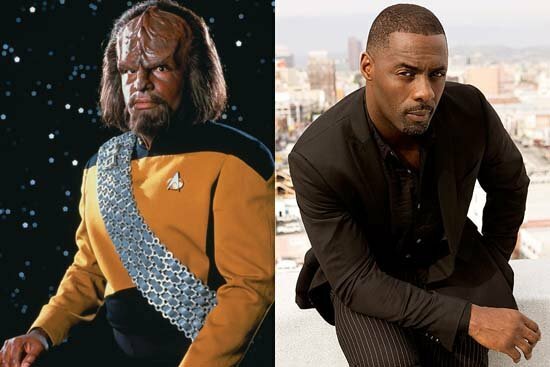 Who would you hire for a Star Trek: The Next Generation reboot?